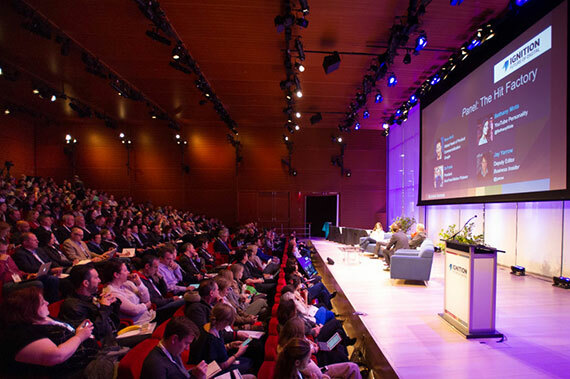 Earlier this month, Disqus was in New York for Business Insider's IGNITION conference which brings together folks in media and technology to explore the future of digital. As one of the sponsors, we built a discussion channel for attendees to encourage people to start and join discussions about topics covered in panels and interviews. One of the highlights from the the 3-day event was an AMA (Ask Me Anything) we hosted with one of the speakers, Andreesen Horowitz's Benedict Evans. To coincide with his panel "Mobile is Taking Over Everything", we promoted the AMA as an opportunity for attendees to engage directly with their favorite speakers and ask the type of burning questions that a traditional Q&A may discourage. Next up was a question from Ro Gupta about mobile technology's impact on the future of cars. Here's his response to the question: "Aside from the Uber/Lyft effect, what other big things do you foresee in autos & transportation as a direct result of mobile permeating everything?" I see very little impact on cars themselves. The interesting issue is how much sharing changes how we use cars. But the maths are challenging. It's not clear that sharing can actually reduce the total number of cars in use. I'm not sure it's helpful to think of iOS as closed when it's had over 50bn app downloads. Consumers don't buy open or closed products - they buy good products. The big difference in mobile is that the form factor works better for integrated than for modular hardware, while the complexity and speed of change in the hardware makes an integrated approach give better performance and battery life. Be sure to check out the rest of the AMA here. Also, who would you love to see do an AMA?